On June 4th at the Open Center in New York City, I will teach the first in a series of four workshops called From Anger to Equanimity: How to Transform Anger Into a Positive Force for Personal Growth. 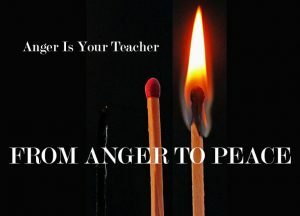 The program focuses on tools and techniques for anger transformation, which means how we can use anger as a powerful catalyst for growth and healing. My talk will explore the psychological and philosophical aspects of the anger transformation process, teaching participants how to use anger as a vehicle toward peace, compassion and personal change. As part of this work, I provide a seven-step framework for participants to use when managing their anger before it erupts as well as when it reaches a high-level of intensity. Among the benefits participants will receive from the program will be how to use anger as a key to understanding their past, enjoying the present and planning for the future; moving them from where they are to where they want to be by building greater self-awareness and emotional mastery. That is why I want to include you in the opportunity to deepen your practice with me at the Open Center this spring. If you know anyone who would benefit from learning these skills and deeping their practice, please let them know about these upcoming events!